When chasing big saltwater species, changing out treble hooks with inline hooks is the safe and conservation-minded modification for catch-and-release sportsmanship. 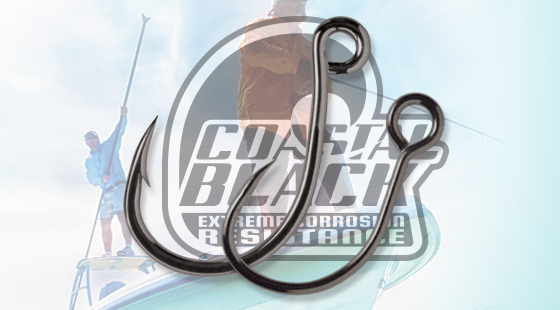 VMC’s® new Coastal Black™ Inline Single Hooks are the leading choice of top captains. VMC’s new lineup of Coastal Black hooks feature micro-thin layers of black finish to withstand the harsh conditions of saltwater fishing. “The best saltwater hooks just became even more potent,” says George Poveromo, host of “George Poveromo’s World of Saltwater Fishing” on NBC Sports Outdoors. Chemically sharpened, the innovative new hooks are engineered to be up to five times more corrosion-resistant than traditional black finishes. 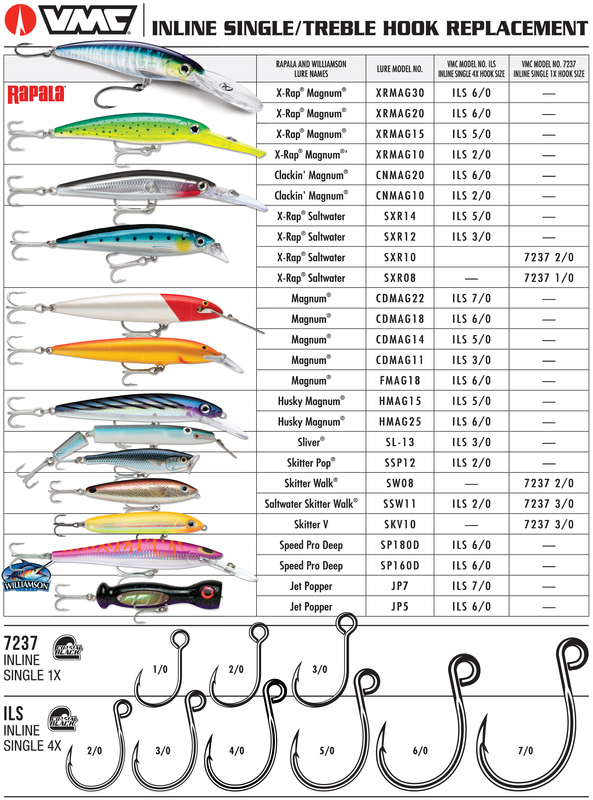 Murphy is on board with the Coastal Black hook lineup as well. “They last longer than any black finish hook on the market,” he says. Removing an inline hook from a fish’s mouth is much easier, therefore putting less stress on the fish and greatly improving its chance of survival upon release. Inline single hooks also present less of a danger than treble hooks do to the angler when removing them. “When I think about pulling one single hook instead of a treble hook out of a fish’s face, I know there’s increased safety involved,” Murphy says. VMC’s Inline Single 4X are made from forged high-carbon steel, feature a wide gap and needlepoint. The ILS – 4X strong hooks are available in seven sizes: 1/0, 2/0, 3/0, 4/0, 5/0, 6/0 and 7/0. The 7237 – 1X strong models are also available in seven sizes: 6, 4, 2, 1, 1/0, 2/0 and 3/0. Poveromo has long relied on VMC hooks “as a huge part of my saltwater fishing arsenal, for catching everything from snook and tarpon on up to marlin and broadbill swordfish.” Poveromo says he’s really looking forward to using the Coastal Black hooks this season. Take a look at the replacement chart below. This entry was posted in VMC and tagged Coastal Black, George Poveromo, Inline Single Hooks, Rick Murphy, VMC. Bookmark the permalink.